This contract was to remove the 34 year old 30mm surface layer of asphalt by cold milling, apply a polymer modified bitumen waterproofing membrane seal and lay a new, more durable surfacing asphalt over an area of 24,000m2. This was to be carried out without any disruption to normal passenger and freight services. This necessitated the work to be done on Saturday and Sunday nights only between scheduled flight times. The award was judged on how Higgins met the following criteria: project management, construction methodology, technical difficulty and innovation, profile, quality, client satisfaction. 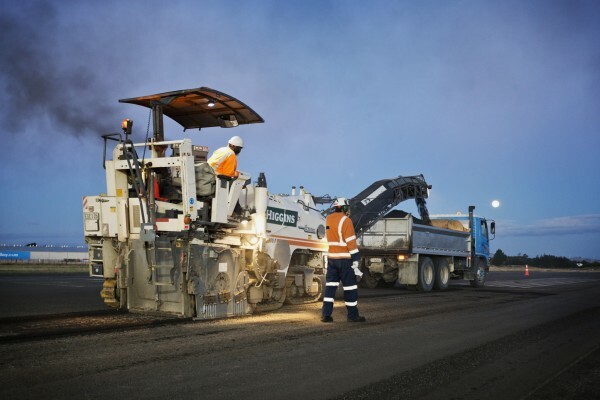 This contract involved a lot of collaboration to enable the resurfacing works to be completed on time and on budget to a high level of quality. All parties involved worked well together and are satisfied with the end result.